According to the University of Maryland Medical Center (2011), “A number of clinical studies – though not all – have found kava to be effective in treating symptoms associated with anxiety,” and one study found that it can enhance mood and cognitive performance as well. Some study findings even suggest that kava may be as effective as certain pharmaceutical antianxiety medications. A systematic review of studies conducted by Pittler and Ernst (2000) found that kava is definitely superior to a placebo in reducing anxiety, and more recent research has found that kava provides significant anti-anxiety benefits as well (Pedersen, 2013). Also, while sedating medications usually impair performance, kava improves concentration and reaction times (Head & Kelly, 2009). Although kava appears to be an effective anxiety remedy, concern has been raised in recent years over risks associated with kava use. Kava and Liver Toxicity: Is Kava Safe? 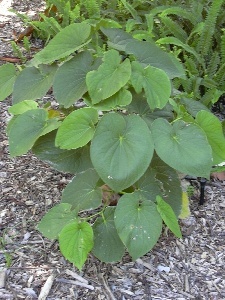 The University of Maryland Medical Center (2011) notes that kava research has declined in recent years due to reports of liver toxicity. It’s unknown whether the kava itself caused the problems, the supplements were contaminated with something else, the problems were caused by interactions with other medications, or certain people already suffered from liver problems before they started taking the supplements. The World Health Organization has “suggested that liver toxicity may be limited to kava formulations that used the whole kava plant, instead of just the root, or used acetone and ethanol to extract the active ingredient from the plant instead of water” (cited by Boyles, 2009). Kava has been grown and used for centuries on the Pacific Islands, and there is no evidence of liver problems among the islanders, but they use only peeled plant roots in water-soluble extracts. This suggests that the right formulation of kava should be safe, but because the supplements industry is poorly regulated and monitored, manufacturers can say whatever they want about their supplements so it’s difficult to know whether a particular supplement is actually developed in a safe manner. Some experts recommend against using kava, whereas others say short-term use is fine for those who don’t drink alcohol or take other medications that are processed by the liver (Saeed et al., 2007). If you do choose to take kava, conduct some research into the supplier company’s reputation beforehand and be sure to check with a doctor first, as kava can interact with certain medications; is contraindicated with some medical conditions; and may trigger side effects in some people such as dizziness, stomach upsets, restlessness, or drowsiness. Kava may be particularly risky for those with liver disease or damage, women who are pregnant or breastfeeding, and those who will be undergoing surgery in the near future (kava can prolong anesthesia effects). Also, because it has a sedating effect, kava shouldn’t be taken before driving a car or operating heavy machinery (University of Maryland Medical Center, 2011). Although kava appears to be a highly effective anxiety remedy, given the risks, it may be a good idea to use different natural remedies until more research is conducted on kava’s safety. Other natural remedies such as valerian are much safer and many people find them highly effective. Boyles, S. (Reviewed by L. Chang, MD, 2009). “Kava for Anxiety: Is Short-Term Use Safe?” WebMD.com. Ernst, E. (2006). “Herbal Remedies for Anxiety – A Systematic Review of Controlled Clinical Trials.” Phytomedicine, 13(3), 205-208. Head, K.A., ND, & Kelly, G.S., ND. (2009). “Nutrients and Botanicals for Treatment of Stress: Adrenal Fatigue, Neurotransmitter Imbalance, Anxiety, and Restless Sleep.” Alternative Medicine Review, 14(2), 116-140. Pedersen, T. (Reviewed by Grohol, J. M., Psy.D., 2013, December 25). “Alternative Treatment Kava Shown to Reduce Anxiety.” PsychCentral.com. Pittler, M.H., & Ernst, E. (2000). “Efficacy of Kava Extract for Treating Anxiety: Systematic Review and Meta-Analysis.” Journal of Clinical Psychopharmacology, 20(1), 84-89. Saeed, S.A.; Bloch, R.M. ; & Antonacci, D.J. (2007). “Herbal and Dietary Supplements for Treatment of Anxiety Disorders.” American Family Physician, 76(4), 549-556. University of Maryland Medical Center. (2011). “Kava.” UMM.edu.